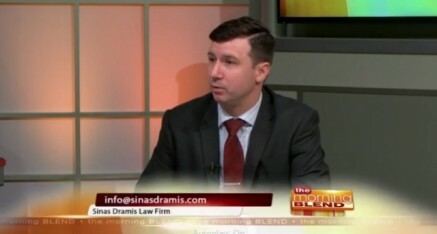 Sinas Dramis Law Firm is dedicated to making sure mid-Michigan residents know and understand the law and their legal rights. 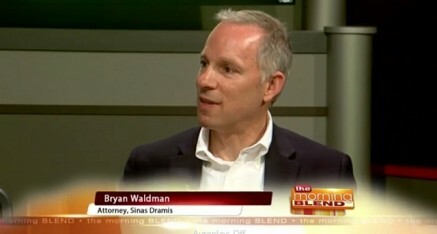 As part of this educational effort, Lansing personal injury lawyers Stephen Sinas and Bryan Waldman, along with other Sinas Dramis team members, appear routinely on Lansing’s FOX 47 Morning Blend program. 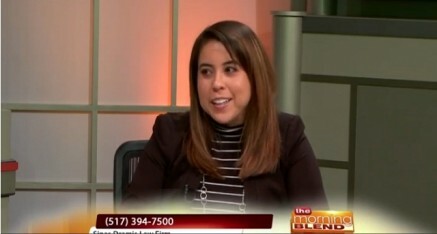 Each Morning Blend segment addresses a practical topic, such as auto no-fault insurance, motorcycle laws & safety, dog bite liability, pedestrian laws & safety, and distracted driving, as well as family law issues. 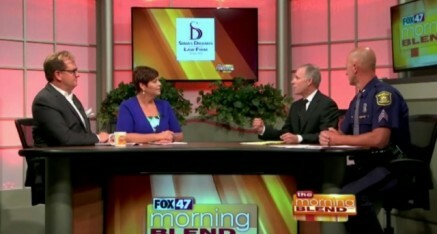 All Fox 47 Morning Blend segments can be accessed on this web page shortly after airing on FOX 47. 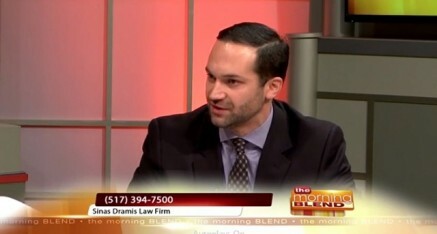 Steve Sinas talks about the liability waivers parents are required to sign for their child to participate at athletic establishments, amusement centers, and sports facilities. 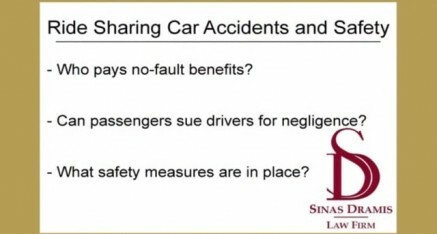 Steve Sinas talks about what passengers should know before using Uber or Lyft services. 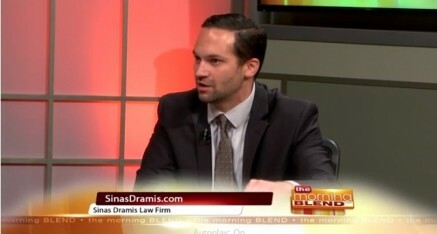 Steve Sinas talks about the law firm's new campaign, Drive Safe Michigan. 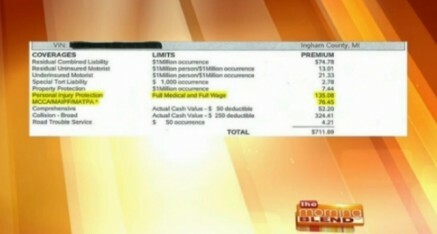 Steve Sinas talks about what factors are used to determine what people pay for insurance. 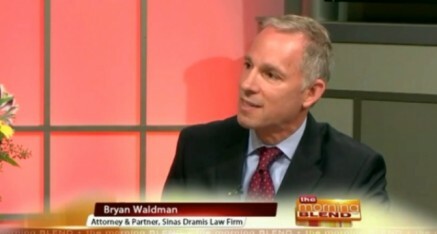 Bryan Waldman talks about the Lids for Kids Program. 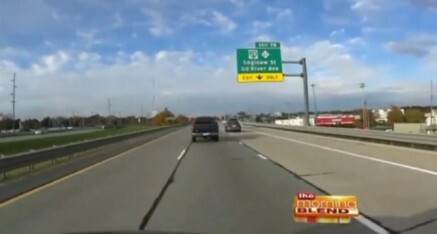 Steve Sinas explains why Michigan drivers should choose "uncoordinated" auto insurance. 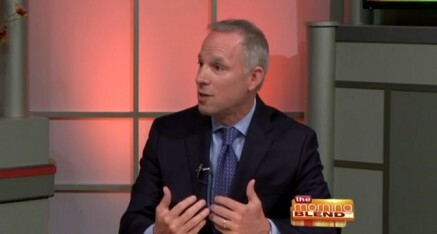 Steve Sinas talks about the benefits of uninsured and underinsured motorist coverages and why people should consider purchasing them as part of their auto insurance policy. Dan Zick talks about the ever-growing problem of potholes and damage caused to a person or property from a pothole. 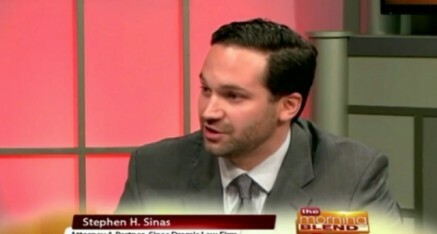 Stephen Sinas talks about the benefits of the current no-fault system and the ongoing legislative efforts to reform it. 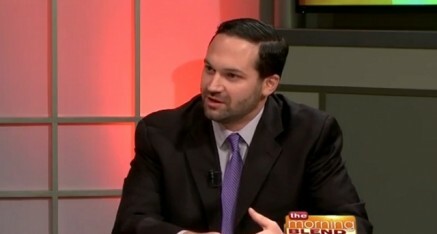 Stephen Sinas talks about the ongoing efforts to reform Michigan’s auto no-fault insurance system. 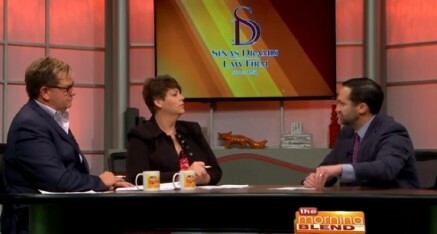 Attorney Jackie Dupler discusses what happens when divorced parents disagree about having their child vaccinated. 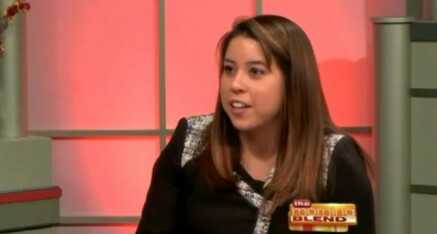 Attorney Katie Tucker talks about the Michigan laws that teen drivers must follow, and how parents can help keep their teenage drivers safe. Attorney Dan Zick talks about new Michigan motorcycle laws that go into effect in October 2017. 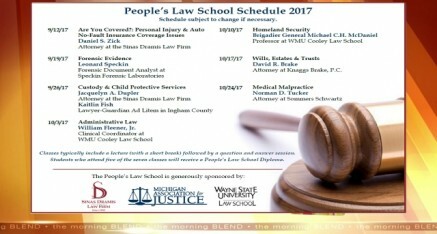 The 2017 "People's Law School" program begins September 12. Jackie Dupler discusses this year's presenters and topics, and how people can register. How can Michigan drivers and bicyclists safely share the roadways? 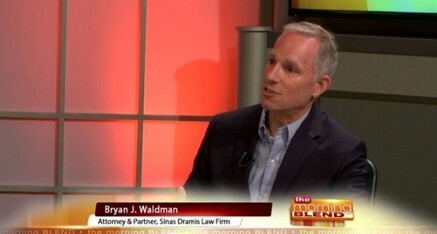 Bike Law Michigan attorney Bryan Waldman answers this question, and talks about why Michigan ranks so high for bicycle fatalities. 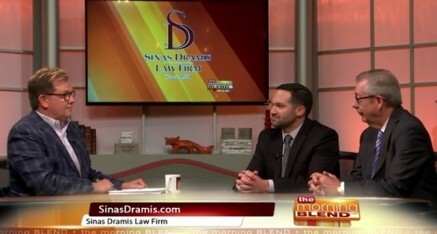 Stephen Sinas and Jim Graves, members of the Sinas Dramis semi-truck accident team, talk about why trucking collisions are complicated and how no-fault insurance applies. Stephen Sinas and Yvonne Fleener, of Origami Brain Injury Rehabilitation Center, discuss the 2017 Lids for Kids bike helmet giveaway in Lansing, and why it's important to wear a bike helmet. 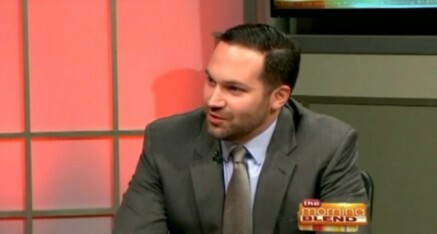 Stephen Sinas helps clarify auto insurance coverages, and explains why Michigan's no-fault system is considered the best in the country. Stephen Sinas explains why drivers need to purchase uninsured/underinsured motorist coverage and the dangers of having a "step-down" clause in your auto insurance policy. Winter driving can be treacherous. 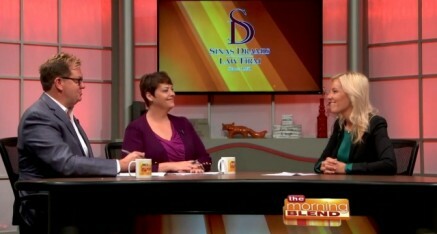 Stephen Sinas offers some tips for keeping safe and explains what to do if you're in an accident. 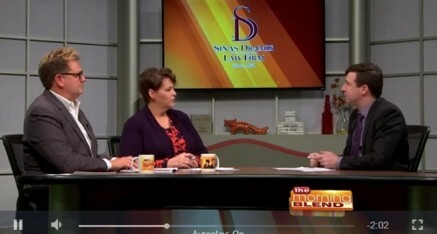 Stephen Sinas talks about the firm's "Understanding Dangerous Roads" public safety campaign, which alerts Michigan motorists about the state's most dangerous roadways and offers tips for driving safely. Family-law attorney Jackie Dupler discusses how divorced parents can help make parenting-time and gift-giving go smoothly. Stephen Sinas discusses whether you need to purchase over-the-counter insurance when renting a vehicle, particularly if you have your own auto no-fault policy. 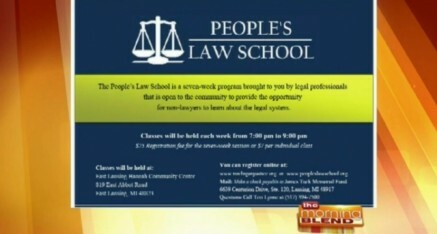 Bryan Waldman highlights the Michigan laws that people must follow when walking, and how pedestrians can stay safe. 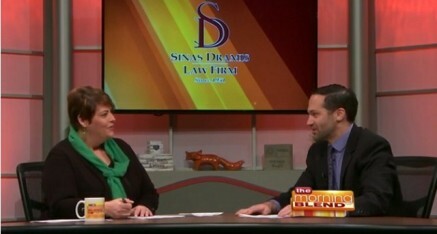 Stephen Sinas discusses the dangers of texting while driving, as well as other types of driving distractions. 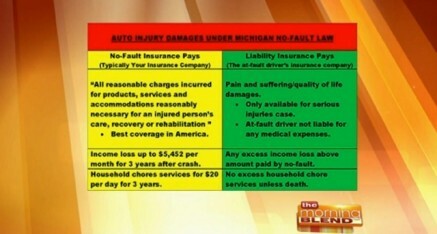 Mike Larkin breaks down the different types of Michigan auto insurance coverage. Bryan Waldman discusses Michigan's motorcycle laws and insurance requirements, while Michigan State Police Sgt. Rob Schwalm talks about motorcycle safety. 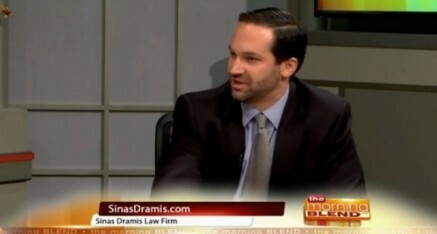 Stephen Sinas talks about "People's Law School," an educational program sponsored by the Sinas Dramis Law Firm that teaches the public about the law and their legal rights. 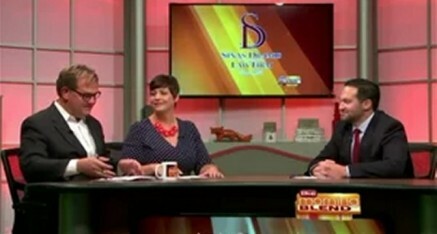 Stephen Sinas talks with FOX 47's Morning Blend about Michigan's dog bite laws, pet owner liability and insurance coverage.